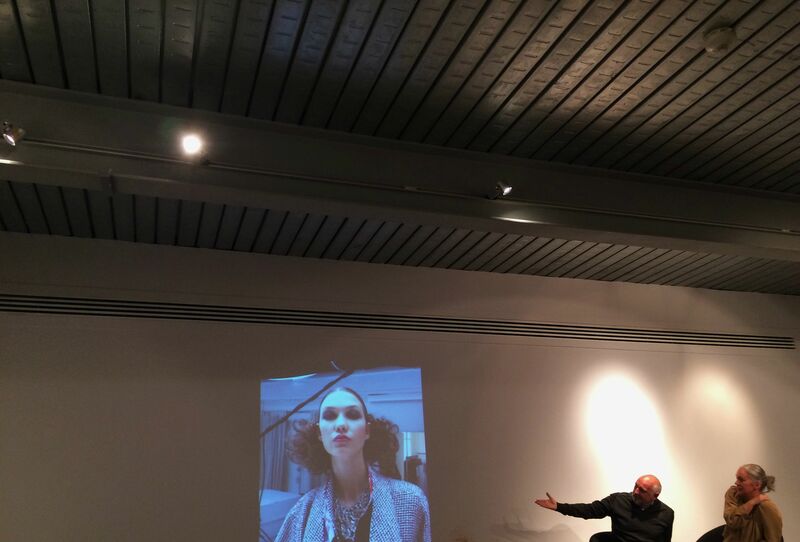 On Monday night, hairdressing legend Sam McKnight returned to his Scottish roots, when he attended an intimate #The Coterie session with journalist and BeautyMART co-founder Anna-Marie Solowij in Edinburgh’s Dovecot studios. 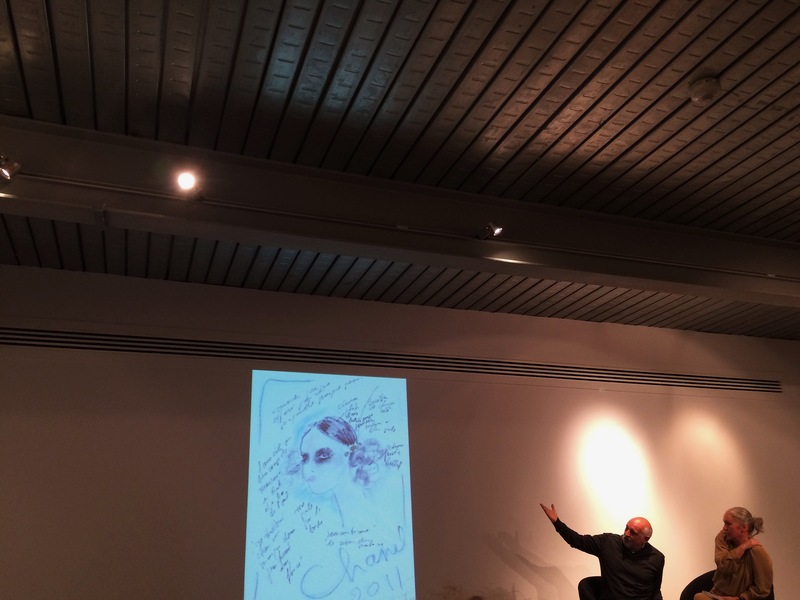 Hosted by Creative HEAD magazine, Sam shared detailed stories and coinciding photography from some of the most iconic moments in his forty-year career with a crowd of loyal McKnight admirers. The buzz among the waiting audience was not only loud but really sang McKnight’s praises before he had even taken his seat. Immediately it became clear just how respected the stylist is, with many members of the audience calling his journey to success an inspirational one. Having never attended a beauty event of any description before, I felt like a fish out of water. 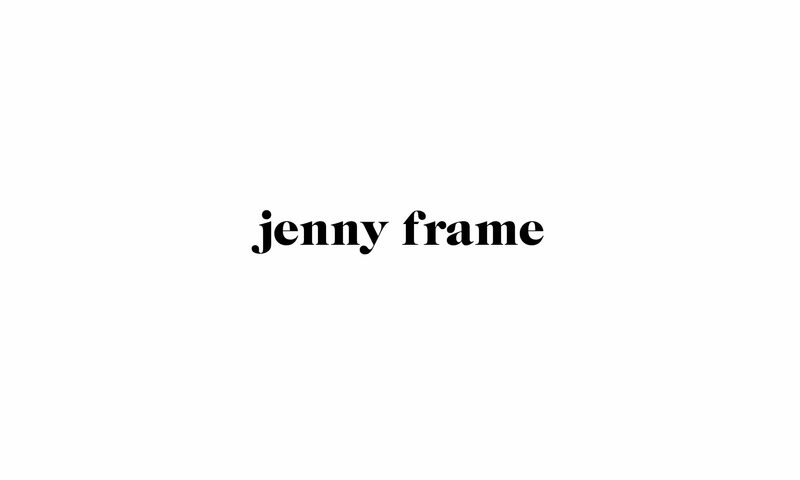 Surrounded by chatty hairdressers my fears of feeling slightly out of my depth were quickly diminished as within minutes the mingling commenced, finding myself discussing all things beauty with women from around the country. The evening began with Creative HEAD magazine’s publisher, Catherine Handcock, outlining the definition of the word ‘coterie’ as the reason “why we do these sessions.” She explained that a group of people with a shared passion, not only in hairdressing but in coming together to create these opportunities, was so perfect to describe the community formed on the evening. Expecting to learn how to create the perfect coiffure, I returned home from the event feeling freshly educated in how to construct a flourishing career path. Sam McKnight escorted the crowd through hairdressing history from a time where ‘How To’ videos were non-existent and the 90s supermodel boom, to today’s celebrity transformation editorials. Here are ten valuable lessons he taught us throughout his The Coterie Edinburgh Session. 1- The key is staying humble. 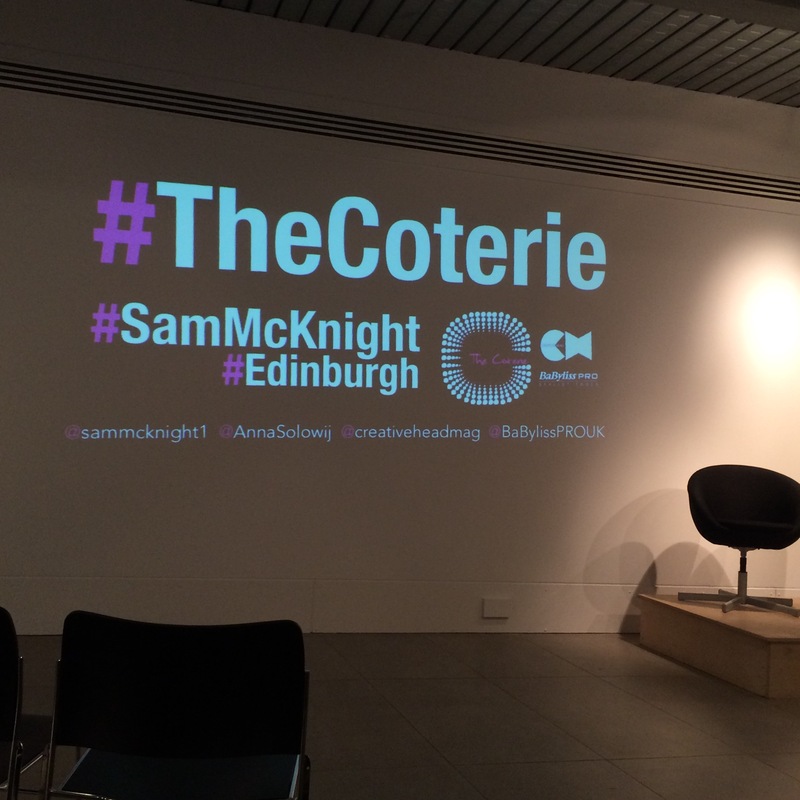 Sam himself requested that The Coterie events branch out across the nation making their way north to reconnect where it all began for him in Scotland. He expressed his thanks for the opportunities that stemmed from training at Molton Brown hairdressers, which in turn led to a long relationship with Vogue magazine. When asked about the biggest lesson he had learned throughout his career, he insisted it is vital to recognise “It is not all about you.” The coveted icon also keeps himself grounded by pursuing a love for gardening and baking. McKnight reflected on the eighties as being a time of change and the beginning of hairdressers having the opportunity to branch out on their own, exploring the artistic side of the business. 3- Do not be afraid to take a risk. 4- Embrace change and the new. Especially when working with wigs, McKnight recommended that being prepared is when he works best. He discussed one of his most recent ventures in the hair meets fashion world, preparing 72 wigs to execute the already iconic, futuristic, sharp bob look for Chanel’s AW16 couture show. He explained that the style you create in the dressing room will not look the same once on set. You have to be open to making changes to your work. The hairdresser told the audience of Karl Lagerfeld’s specific abstractions. As he demonstrated drawings the director of Chanel sent over for one of the brand’s couture shows and the following outcome, Sam focused on the importance of working together to alter the style and achieve the vision in mind. 7- It is not a competition. A harmonious marriage between hair and makeup is essential in order for a look to work. He emphasised that it is not about overpowering one another but instead meshing together with other professionals and working as a team. 8- Forming solid, respectful relationships in the workplace is key to your career. There is a lot to be said for putting energy into working relationships. Sam encouraged establishing a give and take partnership as he explored some of his friendships with names from Peter Philips, creative director of Christian Dior Makeup and photographer Mario Testino, to Kate Moss and Princess Diana. A lot of which are based on a mutual respect from working in a creative environment together. 9- Do not have any regrets. Solowij questioned whether McKnight ever found himself looking back on a show and wishing he had done something differently. The stylist explained how he does not have any regrets but alternatively processes new ideas and realises potential for future opportunities. Simply ending with, “A bit of humour is important. There is always lots of fun to be had”, Sam McKnight’s down to earth character prevailed. By joining forces, The Coterie, Babyliss PRO, Anna-Marie Solowij and Sam McKnight provided Monday night’s audience with captivating yet relatable experience for everyone. Thank you to BaByliss PRO for our goodie bag. 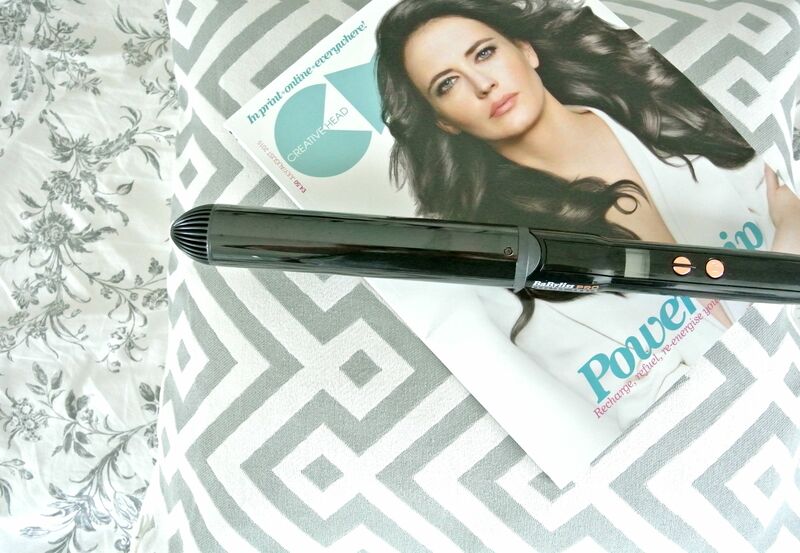 Get your hands on the BaByliss PRO Titanium Expression Waving Wand here. Review coming soon – Spoiler, I love it!